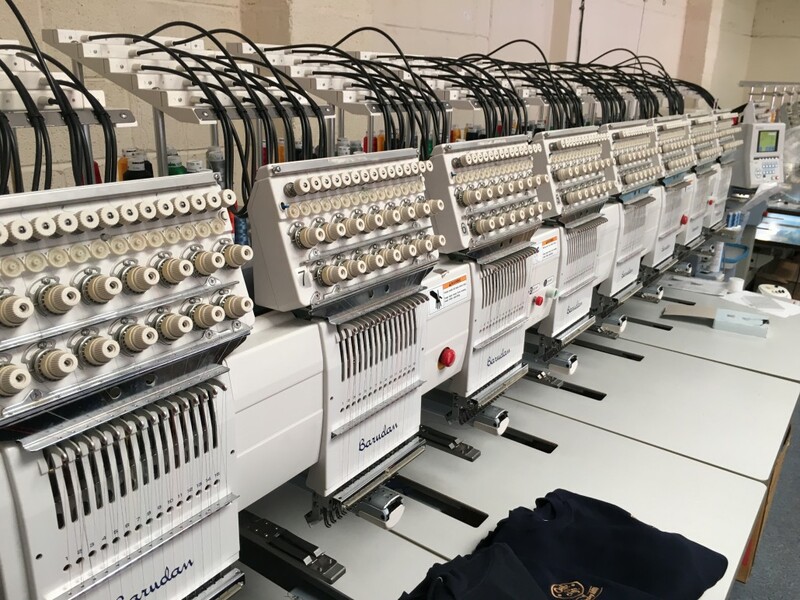 One for the earliest decisions in the buying process, after you have decided which garments you require is to decide on whether you want your logo or design printed or embroidered. There are good reasons why one or the other will work better for you and this can be due to a number of reasons. It is often a little more expensive than screen printing , but unlike screen printing it is not charged per colour but on the number of stitches in your design . The size of your design and the amount of infill stitches are the determining factors when it comes to how much your design will cost. Embroidery offers a more prestigious looking and harder wearing decorative solution. On outside work wear when the garments will be washed frequently. For catering wear and chefs Uniform. These garments become soiled and stained every day requiring frequent hot washing. When your staff are ‘customer facing’ and you need to be making the right impression with your business identity.You may be buying polo shirts or smart office shirts. If your budget does not allow frequent replenishment of clothing. On rain jackets or heavy winter jackets. These garments are often treated with a water repellent coating after they have been manufactured. This also repels ink or transfer adhesive. On Fleeces or knitwear. It is not possible to print on the fluffy surface of a fleece or loose knitwear. On caps. It is possible to print onto caps but we feel that embroidery always works better. Your logo/design has very fine detail or small fonts. Any text in your design will not be embroider- able unless it is at least 6mm high. This is a common problem and often requires us to adjust the composition of the design to make it work. Enlarging text and rearranging it so that the required scale is reached. Embroidery has ‘weight’ to it. This can mean that it is unsuitable for thin garments under the 140gsm range. Most modern sportswear is now made of polyester and would be in this category, as would some budget T shirts or fashion wear. Embroidery also leaves a slightly rough finish on the inside of the garment which means that it can be a potential irritant if worn on close fitting garments used for sports.